Semi-finalist at the Sun International 2016 World Junior Championships in Cape Town, South Africa, beaten by the champion elect, Japan’s Tomokazu Harimoto; China’s Yang Shuo won his second career ITTF World Junior Circuit title on Sunday 6th August, when he emerged successful at the Hang Seng 2017 Hong Kong Junior and Cadet Open. Furthermore, for the 16 year old it was a case of déjà vu. At the 2016 Taicang Junior and Cadet Open, he had beaten colleague, Xu Haidong in five games at the final hurdle (11-3, 11-8, 10-12, 11-9, 11-8); in the title decider in the splendid setting of the Queen Elizabeth II Stadium, he repeated the success, only this time the victory was just slightly more hard earned. The no.3 seed he overcame Xu Haidong, the top seed, in six games (9-11, 11-8, 11-13, 11-6, 11-4, 11-9) to reserve the top step of the podium. At the semi-final stage, Yang Shuo had beaten Chinese Taipei’s Lin Yun-Ju, the no.2 seed, in a similarly closely contested duel (13-15, 11-7, 12-10, 11-6, 6-11, 11-6); in the counterpart penultimate round engagement, Xu Haidong had emerged successful in an even closer affair, when facing colleague Xu Yingbin, the no.4 seed. He needed the full seven games to ensure victory (4-11, 11-9, 11-8, 6-11, 15-13, 10-12, 11-5). Success for Yang Shuo in the Junior Boys’ Singles event but earlier in the day it had been defeat in the Junior Boys’ Doubles final; partnering Xu Yingbin and occupying the top seeded place in the draw, the pair had suffered at the hands of Chinese Taipei’s Lin Hsin-Yang and Lin Yun-Ju, the no.2 seeds (11-4, 10-12, 13-11, 11-6). Earlier in the day, in the penultimate round, Xu Yingbin and Yang Shuo had beaten Japan’s Hiroto Shinozuka and Jo Yokotani, the no.5 seeds (11-6, 12-10, 9-11, 11-9); Lin Hsin-Yang and Lin Yun-Ju had overcome the combination formed by Thailand’s Yanapong Panagitgun and Singapore’s Gerald Yu Zong Jun, the no.6 seeds (9-11, 12-10, 11-9, 11-2). 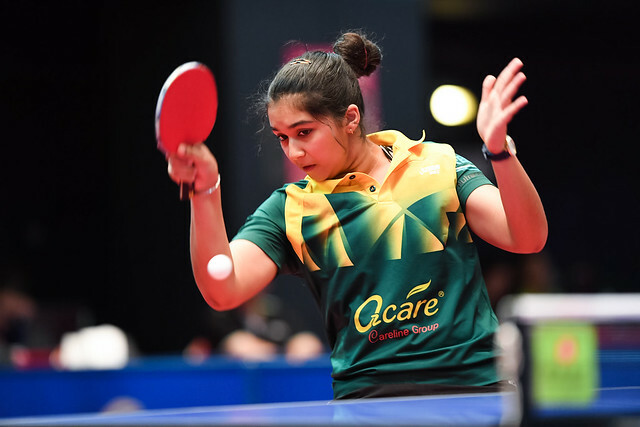 Play concluded in Hong Kong, ITTF World Junior Circuit attention now turns to the other side of the world, to Central America; the 2017 El Salvador Junior and Cadet Open commences on Wednesday 16th August.